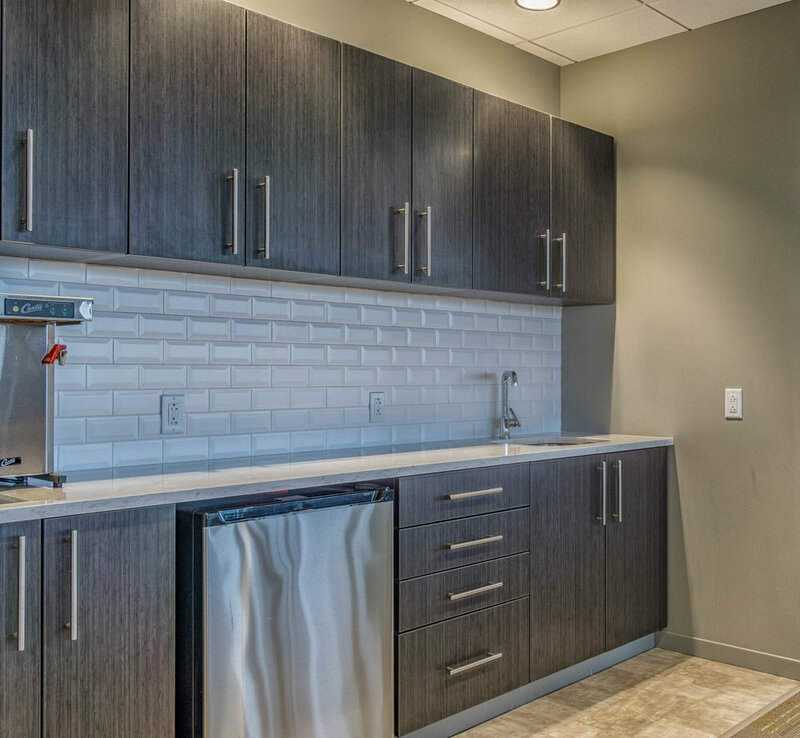 BrickStreet Insurance sought to mark their entry into the Pittsburgh market with a modern workspace and an impressive address on the 27th floor of One PPG Place. Based in Charleston, WV the company was acquiring a large Pittsburgh-based workers’ compensation insurance provider and needed professional design services during this time of growth. Beyond a standard tenant improvements scope and anticipating their expansion into multiple markets in the region, BrickStreet also engaged our team to develop a set of corporate design standards based on the programming of this project. Our team worked with the building owner to balance both landlord and tenant interests while developing a design that could be applied to new offices and existing offices alike. Additionally, our team was challenged with merging the differing workplace cultures of BrickStreet and its newly acquired company in the new space. We organized the large floor plate (23,000 SF) into four main zones. 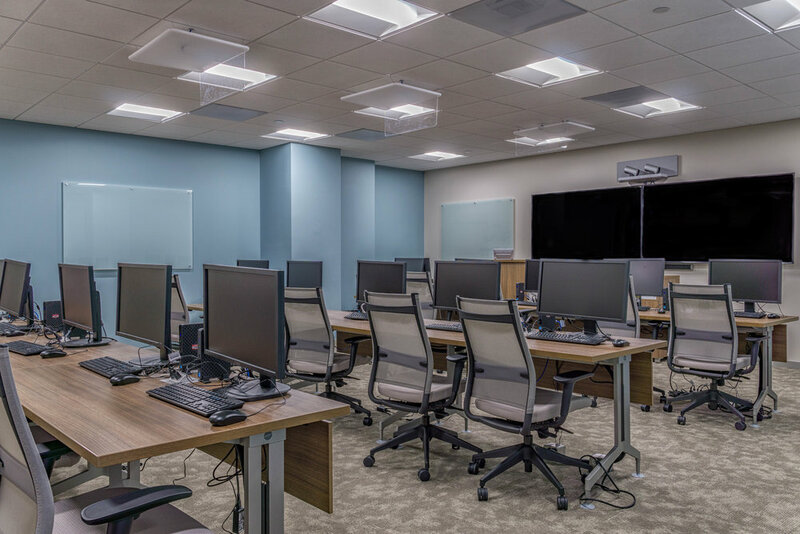 Using paint color, furniture upholstery, and carpet tile patterns, private and common workareas were defined. The colored zones also act as a wayfinding tool for navigating the expansive space. The iconic castle-like corners of the floor plate were designated as the board room and large conference rooms. Seated-height privacy workstations were arranged with small break-out zones– taking advantage of the floor to ceiling glass perimeter and stunning views. Four-top tables and lounge chairs for casual and comfortable interactions were integrated into the workstation areas, while private offices were located along the interior core. Huddle rooms with movable lounge furniture are also available for collaborative discussions requiring more privacy. Our programming, space planning, and flexible furnishing selections result in a strong collaborative workplace culture and a can be adapted and applied to additional offices as BrickStreet continues its expansion.